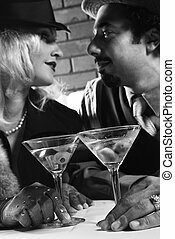 Couple at bar. 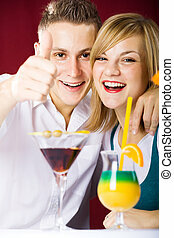 Taiwanese mid adult woman and caucasian man toasting martinis. 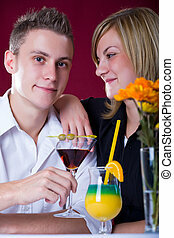 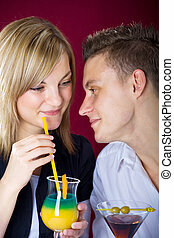 Mid adult Caucasian couple at bar holding hands and smiling. 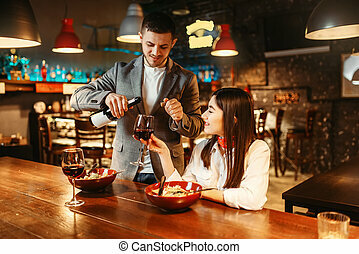 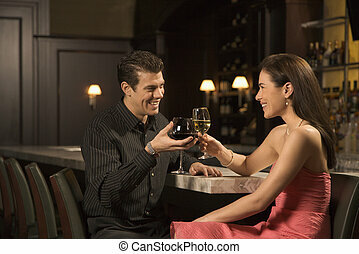 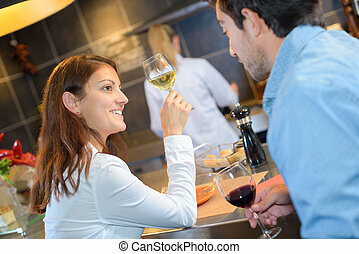 Mid adult Caucasian couple at bar toasting wine glasses and smiling. 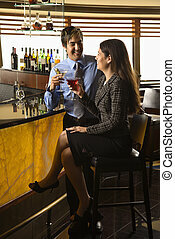 Mid adult Hispanic couple toasting at bar. 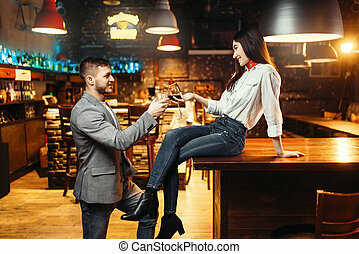 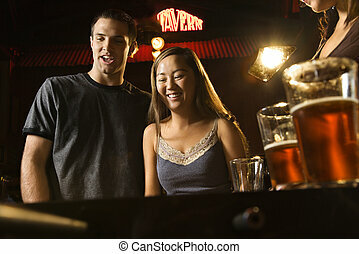 Young couple teamed up at foosball game in pub. 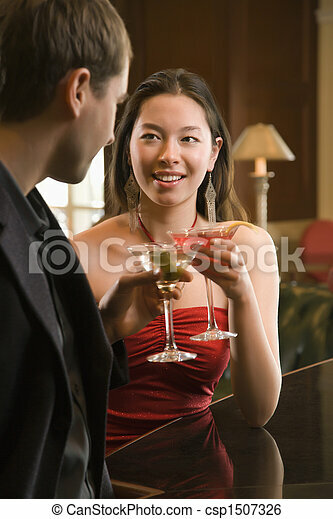 Taiwanese mid adult woman and Caucasian man at bar toasting martinis. 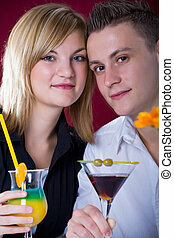 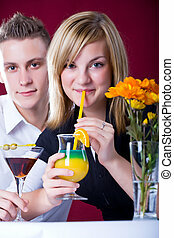 Taiwanese mid adult woman and Caucasian man standing at bar with drinks. 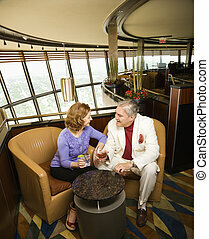 Mature Caucasian couple sitting in bar lounge having drinks and talking. 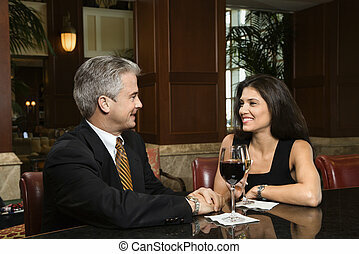 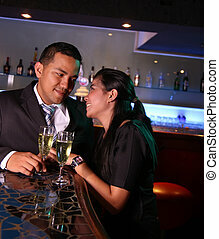 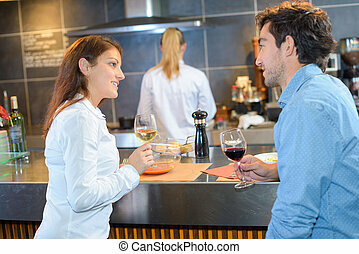 Prime adult Hispanic female and Caucasian prime adult male sitting at bar talking. 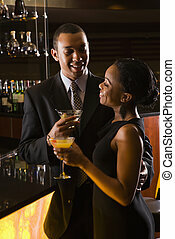 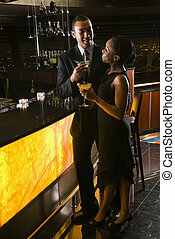 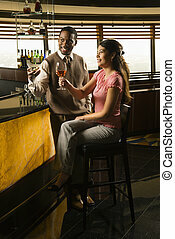 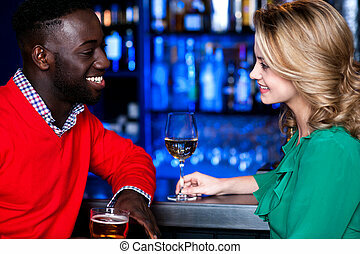 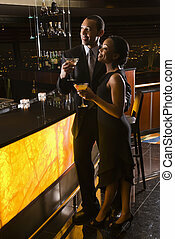 Mid adult African American man and Hispanic woman toasting at bar. 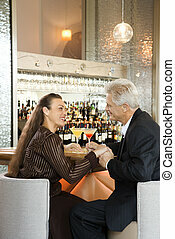 Caucasian mature adult male and prime adult female sitting at bar holding hands.